I discovered the recipe in “Family Table: Favorite Staff Meals, From Our Restaurants to Your Home”, compiled by Union Square Hospitality Group’s Culinary Director, Michael Romano and written by Karen Stabiner, with a forward by Danny Meyer, chef and owner of the just mentioned company. (Yes, Danny Meyer of Shake Shack fame.) I briefly worked for him as a waiter at Union Square Café back in the late eighties. Written in 2013, the cookbook’s recipes are staff meals from his restaurants that are part of the said conglomeration. 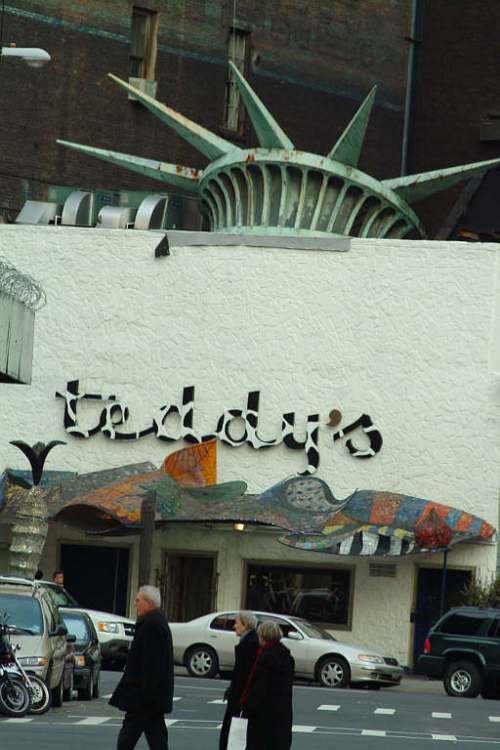 These establishments include some of the Big Apple’s gastronomically acclaimed: Gramercy Tavern, Eleven Madison Park, The Modern and others. (Sadly, Union Square Café will be moving from its current space of 30 years to another area of Manhattan due to high rents.) Traditionally, staff meals are served at the beginning of the dinner shift and end of lunch. This brings me back to this recipe and cookbook…yeah, I don’t think any of the staff at my restaurants would have eaten this as “family meal”. It would have would have been sitting under the heat lamps drying out…but now that I’m older and definitely stockier — it’s pretty stellar stuff. 2 bunches of broccoli cut into trees with stems. Trim off about two inches from the bottom. Several dashes of red pepper flakes. Italian hard cheese such as asiago, pecorino or parmesan. Two to three cups grated. ½ cup of Panko bread crumbs. Preheat the oven to 450 – 475 degrees. 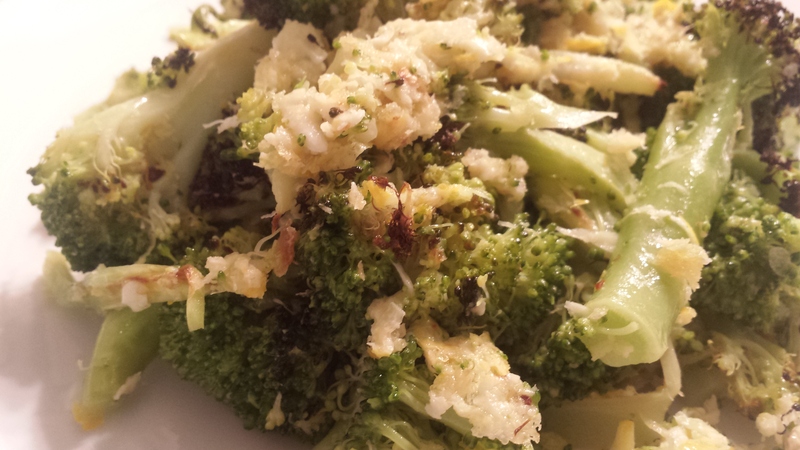 Toss the broccoli, olive oil and breadcrumbs into a large bowl coating the broccoli really well. Spread into a single layer onto a baking sheet and roast for 10 to 15 minutes, charring the ends of the broccoli but not burning them. 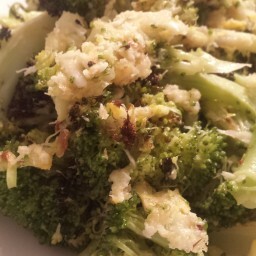 While the broccoli is cooking, zest the two lemons into a large bowl and add the grated cheese stirring well until mixed. Once the broccoli is cooked, toss the broccoli in the bowl mix with juice of a ½ a lemon. Serve.